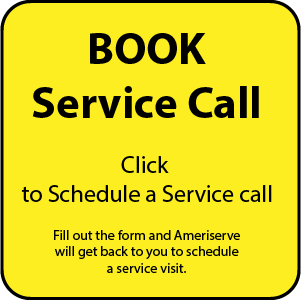 Re-piping is one plumbing activity that every home owner would like to postpone forever. It is costly, involves a number of days of work and causes maximum disruption and inconvenience to those living in the house. However, it is not really possible to avoid re-piping if your plumbing lines are in really bad shape. 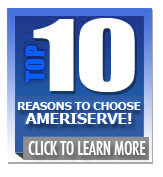 But at AmeriServe in Easton, we promise to make your re-piping experience as quick and painless as possible. 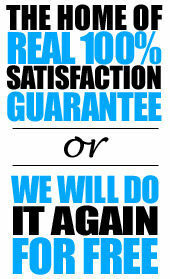 Our trained technicians will get you the quickest and most affordable solutions within minutes of diagnosing the job. The plumbing lines in your home may wear out due to various reasons until they spring leaks or fail to transport water efficiently. When you notice these problems you call in your plumber, who, after his assessment, may advice you to re-pipe your home’s plumbing. To re-pipe your plumbing, you have to remove all of the existing piping and replace it with new ones. In some older homes, the piping is made of lead which poses health hazards. In these homes, it is best to re-pipe your entire plumbing even if the pipes are not damaged because of the health hazards that lead poses. The pipes in your plumbing system transport gallons of water each day for years on end. Wear and tear is inevitable. If your supply comes from a hard water reservoir then lime and mineral deposits accumulate on the inside of the pipes. Over the years, these deposits will start impairing the flow of water. You will find that water temperature is no longer consistent or that it is not adequately warm when your pipes have substantial mineral deposits. Some pipes, such as galvanized ones, corrode over time. When this happens the water you get may be discolored or have a slightly metallic taste. Using discolored water on them can permanently stain your flooring, metal surfaces and even clothes. The corroded pipe may eventually develop holes through which water starts leaking out leaving you with very little water pressure in the taps. A bigger leak can even lead to significant water damage in your walls and floors if you do not stop it in time. When your water pipes are degenerated to such an extent that such indications appear, it is time to check if your pipes need to be replaced. A professional plumber will be able to evaluate if he will need to re-pipe your entire home or replace just one section of the piping to sort out the problem.